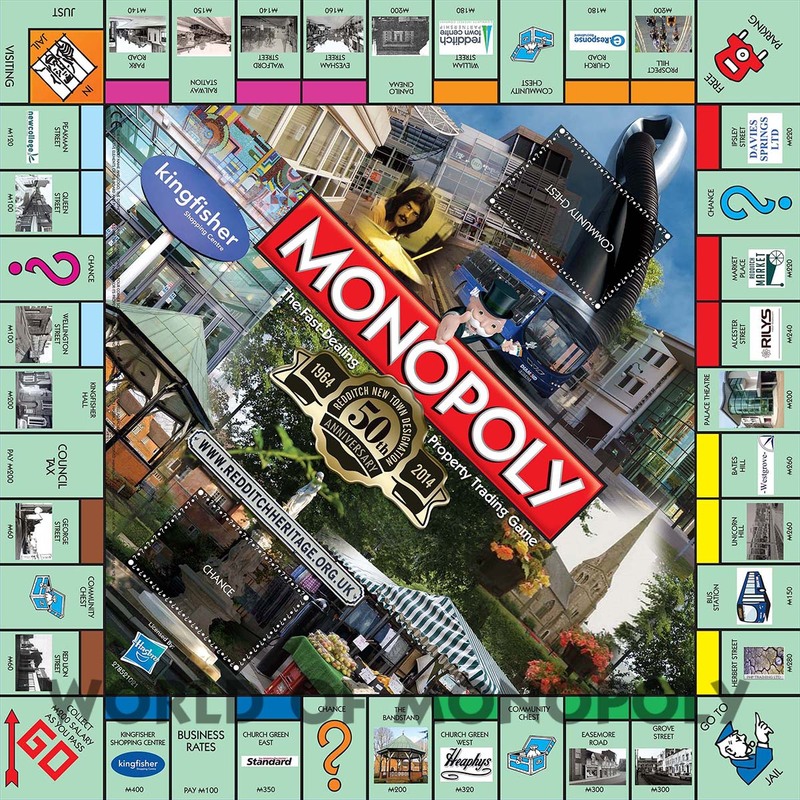 The Town Centre Partnership team are very pleased to announce that as part of the 50th Anniversary celebrations Redditch now has its very own edition of Monopoly. 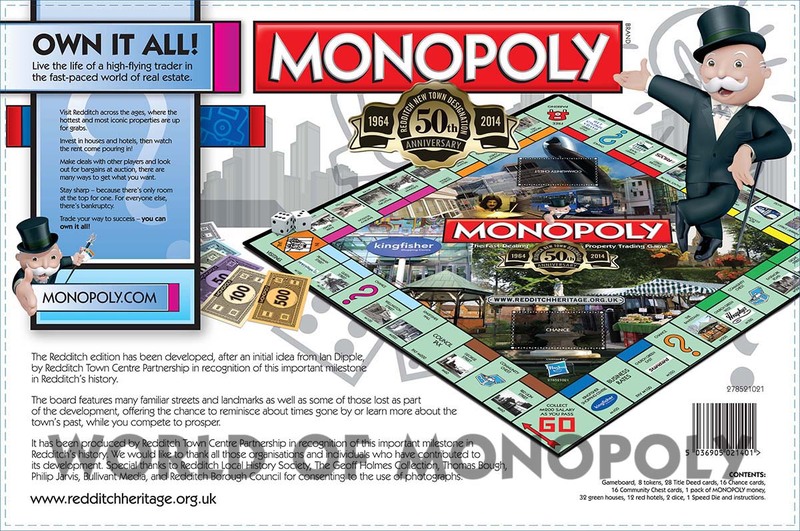 Created both to celebrate Redditch’s historic past and the vibrant town it is today, get your copy and play along with us. 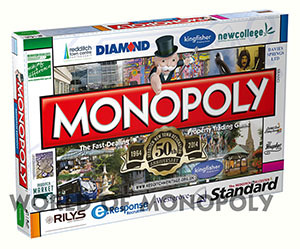 The game has been launched to mark the 50th anniversary of Redditch as a New Town. Based around the town centre and featuring current landmarks and streets, it also features some of those lost as part of the new town development, such as Kingfisher Hall and Evesham Street. The aim is to bring generations together through playing the game while learning about this important event in Redditch’s history. 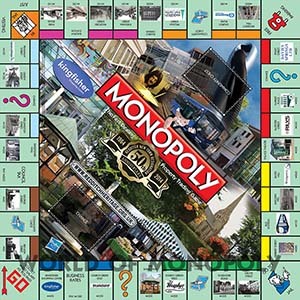 A special bus playing piece, unique to the Redditch edition, has been produced included in the customised Monopoly box. Redditch Local History Society has also produced a booklet detailing information on the lost streets which will be given away with the game. 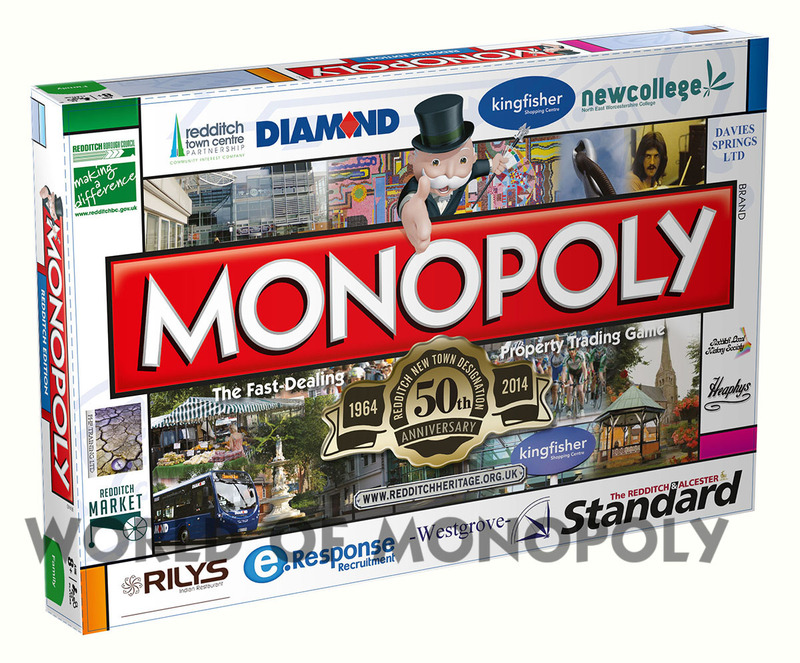 The game has been funded by local businesses and organisations including primary funders Kingfisher Shopping Centre, NEW College and Diamond bus company. 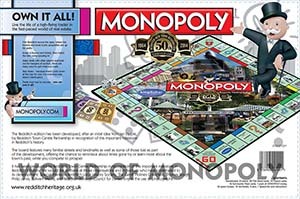 It costs £29.99, the same as standard Monopoly versions, with profits from sales to be pumped back into events to promote the town centre including next year’s "So Redditch Festival".